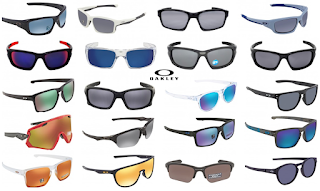 Oakley Sunglasses Sale Only $59.99 (Reg $159) + Free Shipping. Awesome prices on real Oakley Sunglasses! THESE ARE NOT FAKE SUNGLASSES. How can they be real and be so cheap?? Just like all other online sellers that sell real stuff at a discount, these are Grey market goods. In the USA companies set a minimum price that you can sell their products for, overseas there is no rule like that. Grey Market means they are purchased from oversees markets for cheaper, where the items don't have a minimum price they need to be sold for, then resold here in the US. Since they bought them much cheaper they are then able to sell them for much cheaper. This is NOT illegal according to US law, however companies don't like it for obvious reasons. The bottom line is that you get real products for much cheaper.